Celebrating that we saved it! The pub is the hub of our rural community, sustaining social cohesion and preventing rural isolation in a village with no other public amenity and limited public transport which is scheduled to be withdrawn. It provides a focal point for friends, neighbours and family to meet and enjoy refreshment, a centre for entertainment, team games, quiz nights etc, and potential for other village facilities and celebrations. It will be a destination for tourists and visitors to the Cranborne Chase AONB. We successfully purchased the pub as a community asset and have fully refurbished it to serve the locals and be a destination for the wider community and tourists. 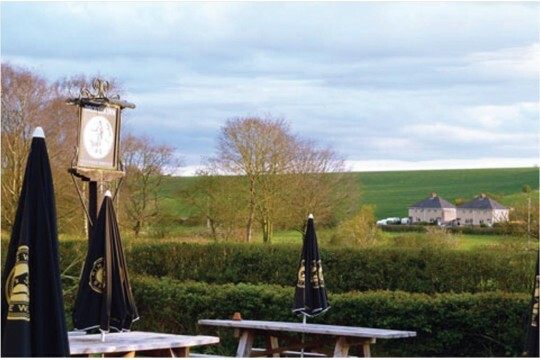 The Drovers Inn is quintessentially a traditional country pub, part thatched with huge inglenook, and will offer a warm welcome & hospitality with home cooked food and quality service. Planning for phase two is underway which is seeking approval and funding for easy access toilet facilities. A defibrillator will be accessible to all.